Some vehicles with TPMS may require additional hardware to be used in custom wheels. 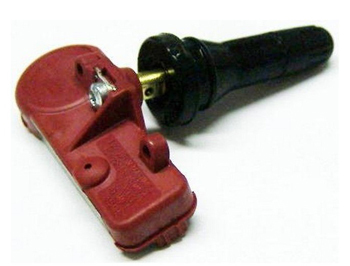 There are 3 basic types of TPMS sensors; Metal Stem, Rubber Stem and Band Type. Metal type TPMS sensors were the first to come out. They were used by all vehicle manufacturers but are really only used by Foreign vehicle manufacturers now. Generally, the metal type TPMS sensors will work in most custom wheels. There are a few exceptions which do include some Toyota applications with factory OEM steel wheels. These applications that do not work in a custom wheel will require a TPMS band and universal cradle which will hold the sensor to the barrel of the wheel instead of the sensor coming through the valve stem hole. It is recommended to replace the rubber grommets on the TPMS sensor whenever you transfer the sensor from one wheel to a new wheel. 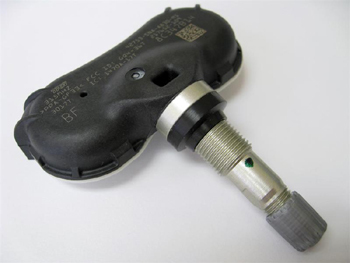 Rubber TPMS type sensors are becoming more and more common and seem to be the way Domestic vehicle manufacturs are moving. You will need to purchase new valve stems to put in new custom wheels. For chrome valve stems see part number VS-925C and black valve stems part number VS-925B in the accessories section of the webstore. Ford uses a Band Type TPMS Sensor. In order to use these in custom wheels you will need to purchase new TPMS Bands in order to strap the sensor and cradle to the custom wheel. 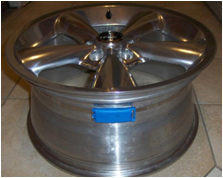 Please contact us at sales@customwheelsexpress.com or call us Toll-Free at 1-800-580-9008 with you TPMS questions.